Cheap Western Tattoos - 144 Ct.
Western Tattoos - 144 Ct. Choose from 6 unique images! Cowboy up with these western style temporary tattoos. Rub the tattoo on with water and easily washes off. Need to fill up a lot of party favor loot bags? 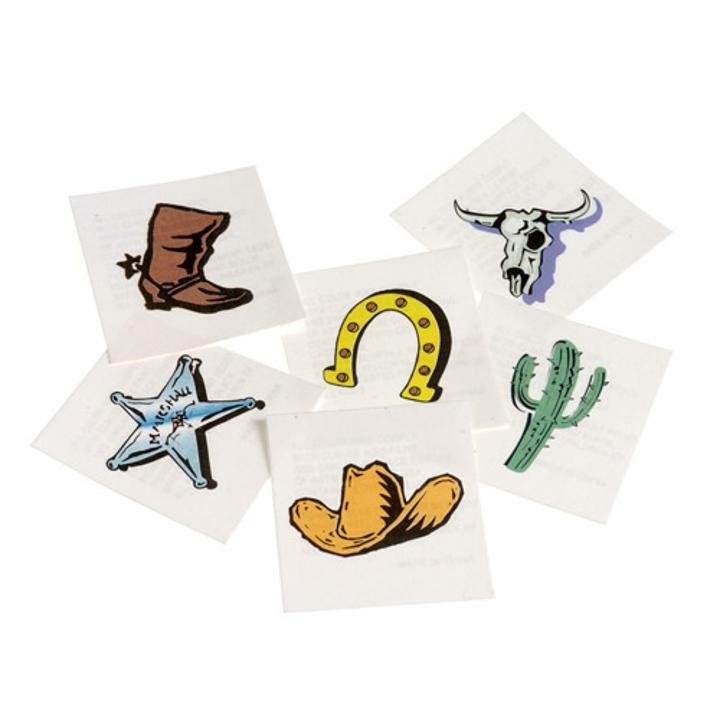 Temporary tattoos are an economical choice for party favor gifts. With a wide assortment of themes you'll be sure to find the right tattoo to match your theme. L: 7.95 in. W: 0.35 in. H: 6.95 in.